The main site is fairly straightforward. One thing that isn't obvious is that most images on the tutorial pages will enlarge to full page size when clicked. The small ones you see when looking at the tutorials sometimes don't show what's going on very well. It's necessary to register on the forum before posting, and registering will allow you to use other features. The forum has a FAQ. That's the help information that vBulletin (the forum designers) provide and it's really handy for first timers. I'm Malcolm Vardy. I'm the man behind the mask in the photo. I bought my first welder in 1992 for the restoration of my 1959 MGA. I've since restored (and modified) an MGB, several Renault 4s, and an Aston Martin. I had a single day of welding training at college back in 1990, but mostly I learned to weld on the job. Since then I've learned a massive amount from the forum. My restorations can be seen on the following web pages: Renault 4, MGA, MGB V8, and Aston Martin. The latest is being documented here. It's a very cool no body filler restoration and I'm trying out a load of new (to me) techniques. How can you support this website? It's very kind of you to ask. You can donate £10 which will encourage your starving webmaster to add more useful stuff on here rather than scrabble around for actual work. The donate £10 function is on the forum and you'd need to register to make it work. Though with the wonders of technology a lot of other currencies work too. There are a couple of other ways to support the website. Joining in is the best - expertise is much appreciated on the forum, but it's the daft questions that really bring the ideas out. Rarely is a daft question from a newbie welder as daft as they might think. The other way to support the website is to tell your friends. If you find this place useful then mention it to other people. Links from your website are a much appreciated way you could do that. 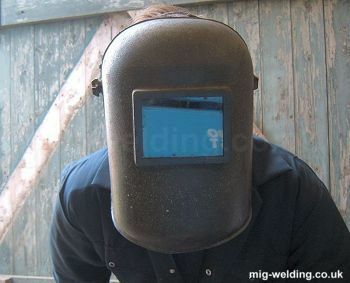 Or if people are struggling with welding on your favourite forums why not point them here (so long as that's within the rules of your favourite forum). This website and forum gets better with each new member that joins in. What legal rubbish do we need to include on this page? mig-welding.co.uk is a trading name of VORD Consulting Ltd (this is sadly a device to protect against personal ruin by legal action - would rather they close the company than take the house. Not that I have a house but I might do in the future). Company number 4656488. Registered in England and Wales. Registered office: 55 St Peters Street, Bedford, MK40 2PR (write there and it will just annoy my accountant, better using the contact on this site if you actually want to get in touch).